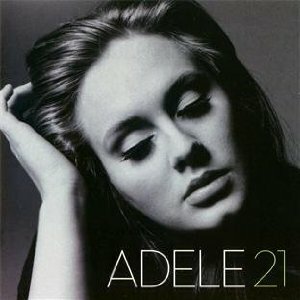 “21” is the critically acclaimed follow up to “19” her last album. In a year where there is been much success from female vocalists with great voices (Rumor, Ellie Goulding, The Pierces) comes an even bigger voice – Adele. I know this album has been out for a while but I only picked it up lately and I was expecting a few good singles ie “Rolling in the deep” and “someone like you” but there is some other great songs like “Turning Tables”, “Rumour has it” and the best track on the album (I think) is “Set Fire to the Rain”. This is a great album and will sit at the number 1 spot across the world for weeks to come. Listen to some of the tracks below and see what you think. One of the few real beneficiaries of The X Factor effect – her version of Dylan’s Make You Feel My Love has been darting about the top 40 since the audition rounds, showing more staying power than poor Joe McElderry’s last two singles combined – Adele’s stock has risen significantly since becoming the first recipient of the Brits Critics’ Choice award. Since then she’s picked up Grammys and broken the States as a bonus, so the pressure was clearly on for her next move to deliver big. And, oh my, with 21 doesn’t she just. The last few years have seen those who started strongly become mightily unstuck on their sophomore efforts. For every Lily Allen there’s been a Kate Nash or a Duffy – the latter’s comeback, Endlessly, seems to have fallen on significantly fewer ears than the 2.8 million who liked her debut – so it’s a treat to hear that no such problems beset 21. It really is so marvellous, you’re almost compelled to stand up and applaud it after the first listen. With a top-notch production team behind the album, including Rick Rubin and Paul Epworth, every track is a highlight. Current single, Rolling in the Deep, is a modern soul stomper about an errant ex; the literally banging Rumour Has It channels the avenging rock‘n’roll soul of Wanda Jackson; there’s a fine, mellow, acoustic bossa nova-y take on The Cure’s Lovesong. Don’t You Remember is a classically styled ballad, which feels like the sort of tune you’ve known all your life – many are certain to bawl along to it the next time their hearts are broken; and the blues-bruised I’ll Be Waiting could’ve come from any Willie Mitchell-produced southern soul session. Final track Someone Like You, just voice and piano, is an actual thing of beauty, placing the listener in one of those moments where you feel you’re in the presence of a future standard. You can imagine it being both honked through by talent show contestants and transcended by veterans alike. I know that this is not on the album but it is so very very good. This entry was posted in Music Of The Week and tagged Music. Bookmark the permalink.